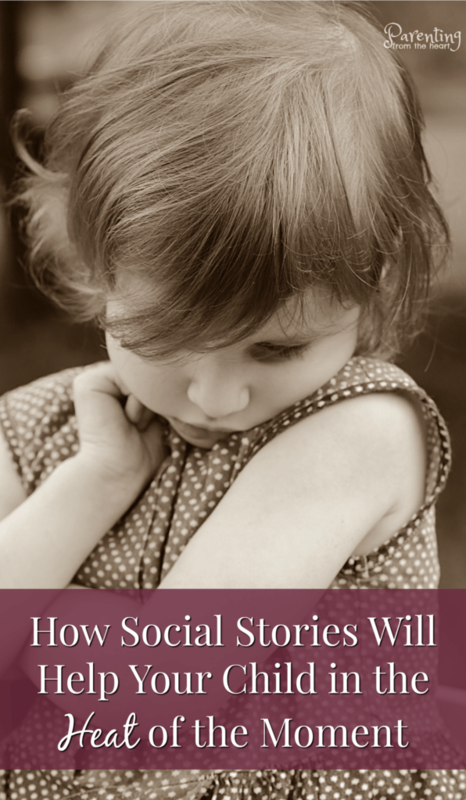 Find out why social stories are an incredible tool for parenting young children. Find examples and a formula. Perfect for positive discipline. 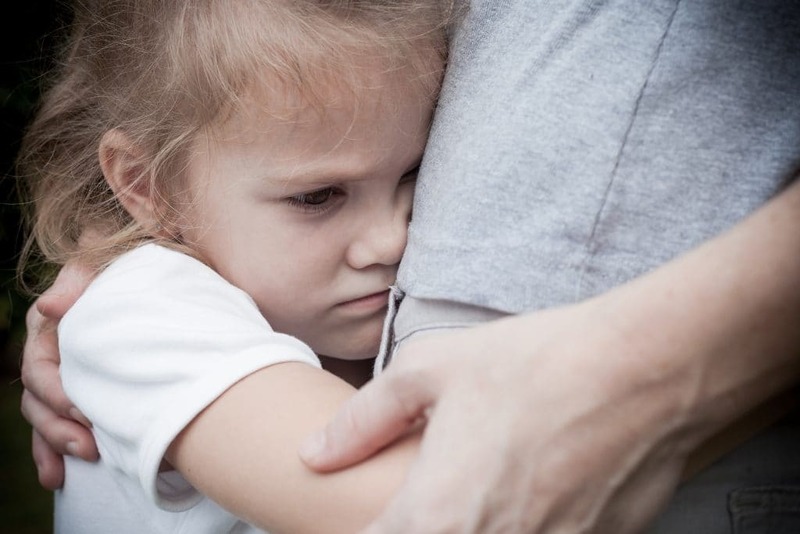 In the space of a couple of weeks, my five-year-old’s behaviour went from thoughtful and kind to unmanageably difficult. I’m used to a girl who, when I ask for help, leaps up to offer me a hand. When my four-year-old son has a meltdown, she is the epitome of calm and reasonable. Lately, however, she won’t miss an opportunity to pinch her brother as she passes him. She sticks out her tongue when she doesn’t like what someone says. When she’s colouring, the moment her crayon goes outside of the line, she rips the page from her Moana colouring book to shreds and throws her markers. The change in her demeanour happened so quickly my head spun. I had no idea what to do. And so we entered into a continuous cycle of her acting out and me taking her up to her bedroom for a time in. Typically, our time ins go like this. I bring her upstairs into her bedroom and close the door. I sit on the floor, open my arms and she falls into me. Then, I do my best to understand what is happening. I usually say something along the lines of: You’re really angry, huh? She tells me how she’s feeling. We agree a better course of action would be better. By the time we get downstairs, it’s as if her emotional slate is wiped clean. In the past two weeks, this hasn’t worked at. all. This is what happened when it came to a head. On the weekend, her storm of anger reached its peak. And I, feeling helpless, was about to lose it. I don’t even know how many times I had brought her to her room that Saturday, but we were both flailing. I grabbed her by both shoulders and looked her dead in the eye. It was a rhetorical question. What I actually meant was stop acting in the ‘wrong’ way. At the tender age of five, she sensed my disingenuousness. For the first time ever, she didn’t lean into my embrace. In fact, she anted up to my frustration by going to the opposite side of her room from me. From her bed, she slid down onto the floor and rolled underneath so we could no longer see each other. 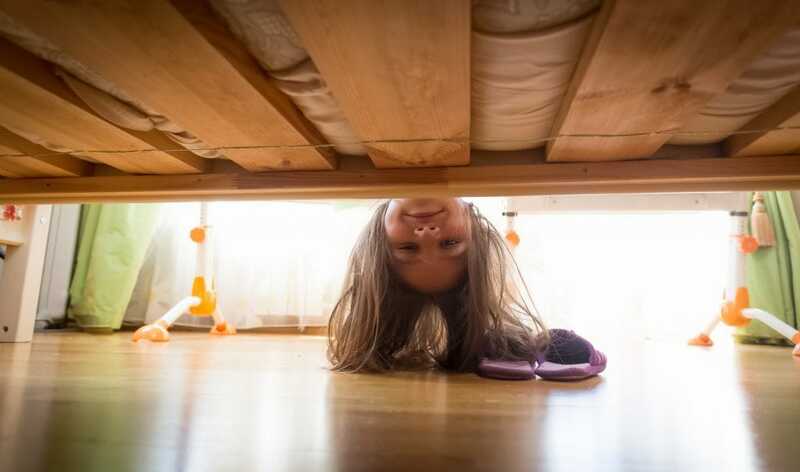 My daughter slid onto the floor under her bed avoiding me. My heart was beating so strongly I could feel it in my throat. Normally, I understood my daughter. Even when her behaviour was unmanageable, I could see myself in her and could introspect to know how to act. This time, I was lost. I don’t know what came over me at that moment. But what I did worked! I gulped hard and started speaking. That’s when it dawned on me. 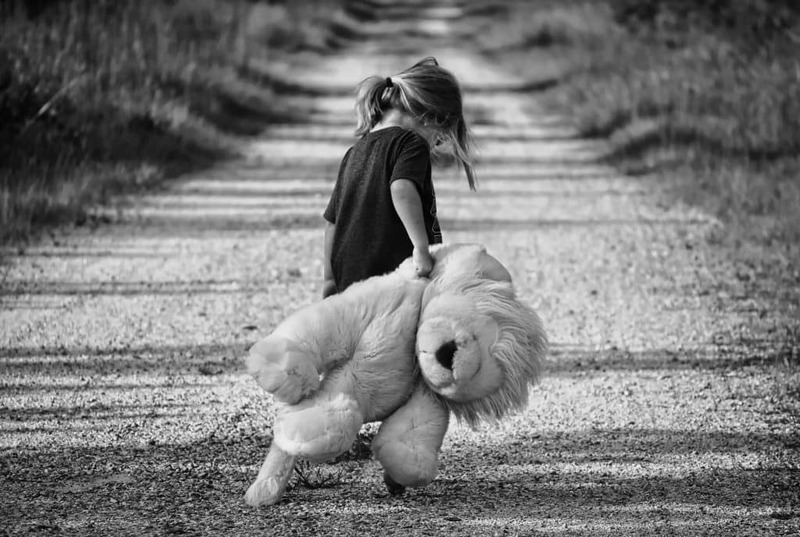 In the weeks prior, my sensitive little girl had faced hardships. My parents’ dog, who she loved, was hit by a car. Then, my dad fell off a ladder and ended up in the hospital. And, she witnessed a loved one have a grand mal seizure. Plus, her brother had been needier than usual. I incorporated these realizations into my improvised social story. Social stories refer to text, spoken word, or a series of pictures used as a means to help children on Autism Spectrum to self-regulate, anticipate unexpected changes (i.e. a fire alarm at school), understand theory of mind, and many other challenging life events. While social stories were originally intended for children with ASD, they are a powerful tool to scaffold self-regulation from young children. I had used them before quite a bit when my kids were younger but had forgotten how amazing they can be. Here are some examples. I use a general formula of a story about me as a child struggling with a similar life event as my children are. To build anticipation, I tell details and use repetition. For instance, the next day, I had another accident, but I kept trying and trying. Then, I describe how I eventually became proficient at the skill. The story switches to them. I illustrate their own struggles and attempts. Then, I explain how, eventually, they too will master the skill they’re struggling with. a powerful alternative to lecturing. She came over to me and was in my arms once more. Slowly, my daughter inched herself out from under the bed. By the time I’d reached the clincher in my tale, she was in my arms once more. This was the first time we headed down from our time in her room where she smiled. Her relief was palpable and so was mine. What a fantastic idea! I could have used this method with my daughter yesterday-she was really testing my limits! I love that your sweet girl was willing to try the stuff on her plate. Honestly, I am going to try this the next time I have an opportunity! I love your take on social stories! I think relating them to a family member is genius and so relatable to a toddler 🙂 I need to remember this! I really enjoy your positive parenting. You always have the most creative and loving ideas. Your social stories are brilliant. Omg I soooooo needed this today!!! It was almost a 5 hour long string of tantrums last night over EVERYTHING. I honestly couldn’t even…anymore….I haven’t used social stories in awhile. I’ll be bringing them back tonight to hopefully set the stage for a better evening. Thank you! Sharing! I think I should have read this one this morning!! We had a very unsuccessful day from my point of view… a few accidents, no nap, didn’t want to eat dinner… You name it I was dealing with it!! I will try this approach tomorrow if I have a repeat offender. This is such a great idea! I’m going to try it out with my kids! I saw your scope about this — and as an aside, I could totally relate to what you were talking about having your child in childcare for so long! — and I thought this was a fabulous idea. I used to work with children with ASD, and social stories were so instrumental. I can see how this would also be a great tool for my toddler. I will definitely try it with her! 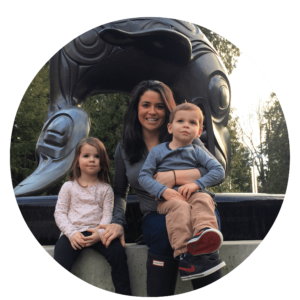 As a mom to an almost 3 year old, I am also on the lookout for ways to parent better. To help diffuse the situation at hand. This are some great tips. Thanks so much Stephanie! That’s a huge compliment! This is such a great post! Thank you for sharing! I will surely use this. Positive parenting is the way to go! Well done, mama! As i read your article, i kept smiling and smiling… that’s what i do with my 4 and a half years old daughter especially when her behavior is unexplained (teasing her brother, throwing toys and FOOD out of nowhere…). Kids are soooooo intelligent and they understand us more than we do. We as mothers have to know how and when to handle each situation without making a scene and pointing the finger on “Oh no that’s bad. that ‘s not right etc…”.